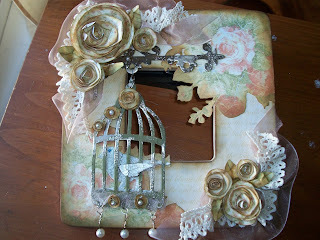 I am playing again with Tim Holtz new die cuts!!!! love how Barn Door and Black Soot look together. Blending tool is my new best friend, I love to use this tool!!! 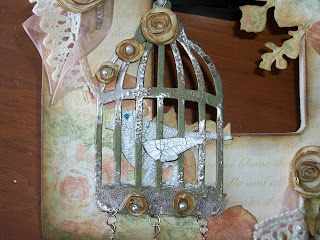 This little gem is my Altered Frame I posted in my last blog post, here are some close ups. 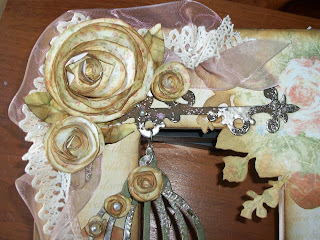 I used Graphic 45-baby to bride collection, Tim Holtz die cuts, Distress inks, crackle paints, embossing inks, and pearls, lace for embellies. rolled paper flowers, edges inked and crumbled up for distress look. Want to win a prize? Please leave me a comment here and I will draw a name on June 11th for a winner!!!!! 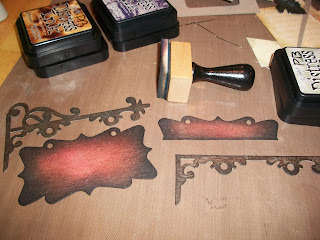 I just have to chuckle at myself because my first remark when your blog pulled up is 'SHE DID NOT" and i was referring to those die cuts from Tim Holtz. I have had those in my cart with some Tattered Angels stuff for awhile now and i am so jealous of you! Project is AMAZING as always! What a Gorgeous frame!!! I love it!!!!! I Love the new dies from TH!!!! Have a great weekend!!!! This is very beautiful! What great use of colors! It's absolutely beautious, Oh and did I say it was gorgeous:)!!!!!!! Well it is, job well done. WILL YOU BE DOING ANYTHING LIKE THIS AT THE CONFERENCE IN BARTLETT,NH THIS YEAR??? THIS IS SO BEAUTIFUL, YOU ARE SUCH A CRAFTY PERSON, GOD HAS TRUELY BLESSED YOU. Absolutely Stunning! I just love this! Just found your blog via a google image search for an altered frame. I am so in awe of your incredible art!! 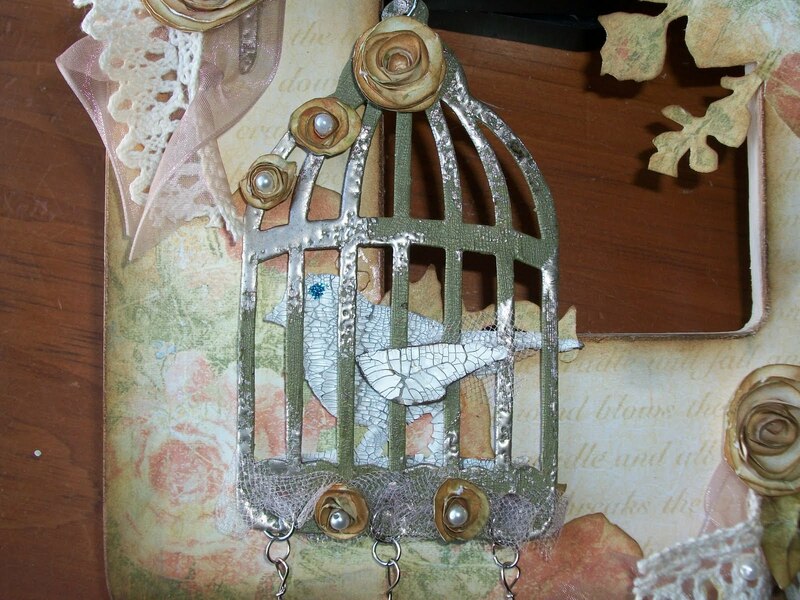 This is a totally beautiful frame!!! I'm certainly taking lessons and gleaning ideas! Thanks so much for sharing this masterpiece!!! !